› DIY › Home Decor › What Paint Should I Use? So you have a great DIY project in mind and can’t wait to get started. But now that you’re all mentally pumped up, you hit a bit of a road block… What kind of paint should you use? Look no further! I’ve broken it all down for you here. Read on to know what kind of paint you should use for ANY DIY project! 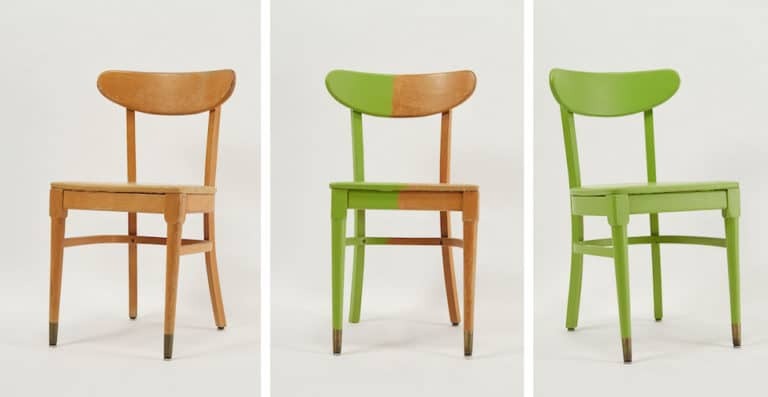 Oil-based paint is a good choice for long-term refinishing jobs. But where paint durability is a positive, oil-based paints are also more difficult to deal with than latex paint and require that you use a high-quality paint brush for a professional quality finish. HGTV explains how to choose between oil-based and latex paints here. I like to use this kind of oil-based paint. Though less durable than oil-based paints, latex paints come in just about any shade and sheen you could want. They do require good prep and primer jobs before starting, but are easy to work with and forgiving of imperfections. Get 10 tips for painting with latex here. 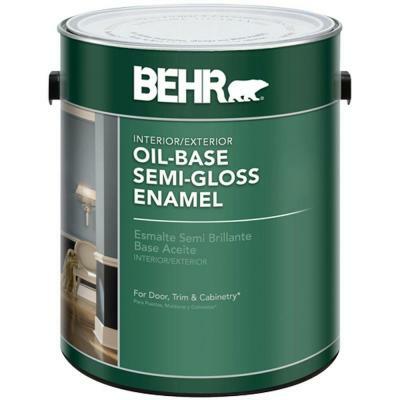 Here’s my favorite latex-based paint. Velvet paint is a cross between flat chalk paints and semi-gloss, with the shine being mostly visible only when viewed from an angle. It’s a fairly washable and scrubbable paint, making it perfect for high-use pieces. 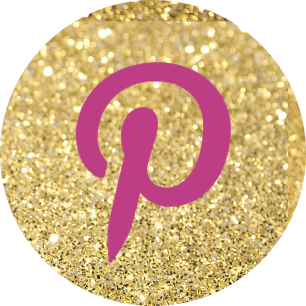 Hometalk shares how to paint with velvet paint here. Check out my favorite velvet finish here. Chalk paint is probably my personal favorite to paint with. This is especially true for rustic or antique refinishes. It does require an extra step of applying and removing wax if you’d like a shiny finish rather than matte, but it’s so much fun to use you probably won’t mind the extra step. Americana Decor is my preferred brand for application and finish. Valspar chalk paint is my favorite! 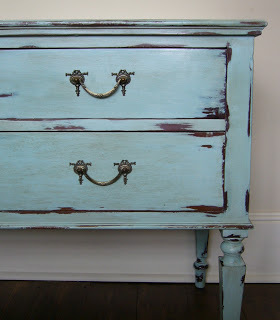 Though sometimes compared to chalk paint, milk paint is actually the more vibrant of the two. 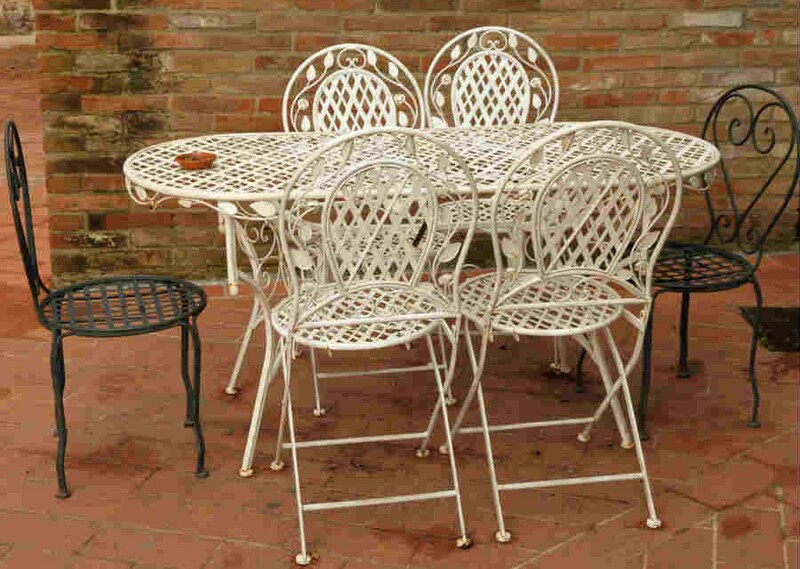 It is another good option for antiquing jobs, but will give more vivid than tame finishes. Learn more about this unique paint from Fresh American Style. Hands down, almost any time I’m painting plastic I go with spray paint. It’s fast, easy, doesn’t leave brush strokes, gives an even, durable finish, and comes in a wide variety of finishes. I’ve especially been having fun lately with metallic finishes like the storage crates below. Learn how to make your own here. Rustoleum is a brand I swear by! For larger jobs, oil-based paints are my medium of choice on metal surfaces. Durability wins out here, and with so many color and finish options, there’s no better choice. Learn more from Do It Yourself. 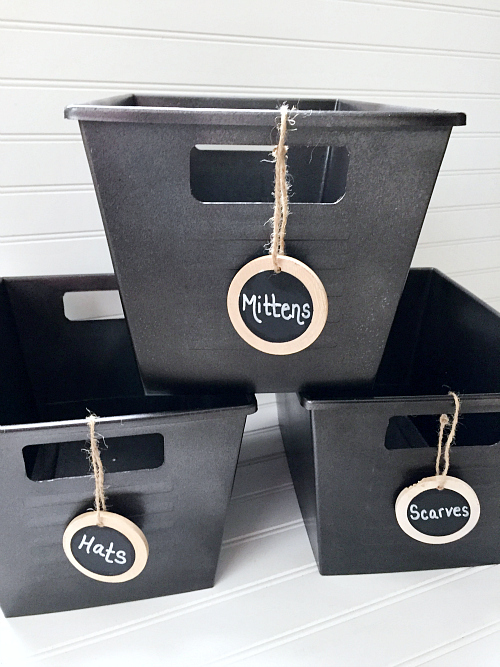 Smaller metal objects can be refinished nicely with spray paints. Simple to do, no brush strokes, even tone. 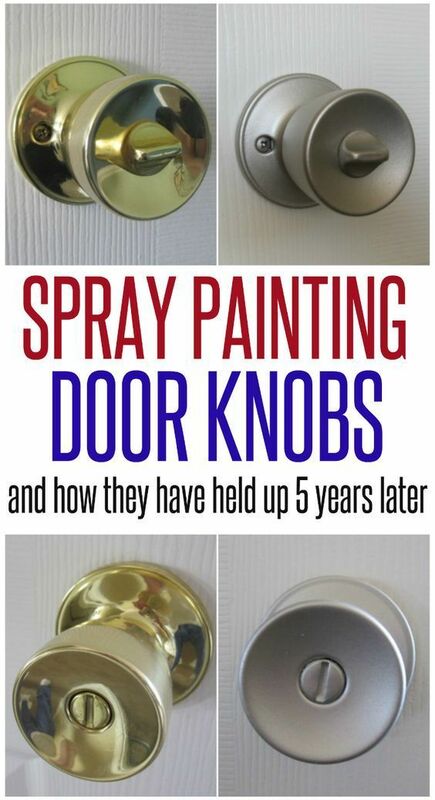 Get the DIY break down for spray painting door knobs and other small items here. Painting upholstery isn’t ideal in terms of look or feel, but there are those projects that require the job. For these times, velvet finish paints are a recommended option to consider. The paint will stick to the fabric without transferring to clothes and it applies without leaving fabric looking like wet dog. Read more here.